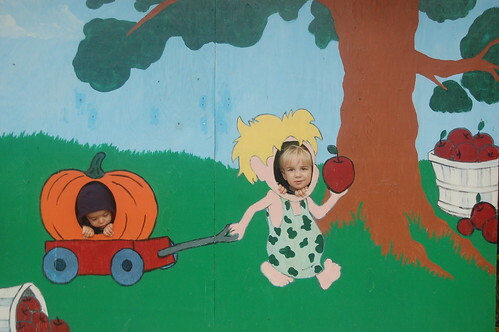 Well my niece Sofia is officially a toddler now which I’m sure brings mixed emotions for her mother and father but it was so much fun to see her at the apple farm on Saturday toddling around. 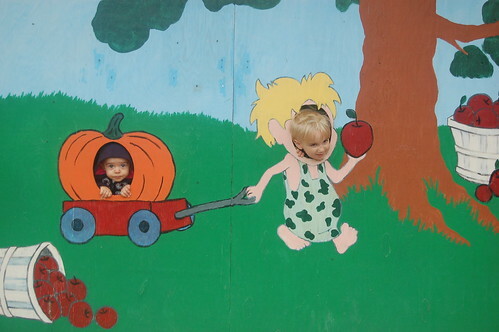 In true tradition we had to “attempt” to remake the photo from last year with Jacob (little blonde boy) pulling Sofia (pumpkin in wagon)…. 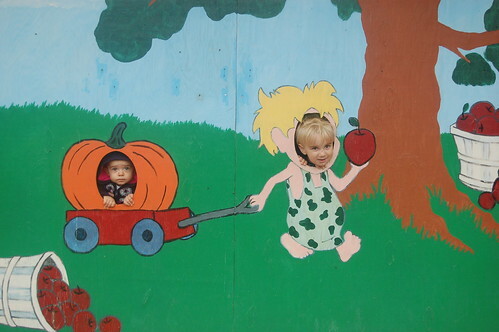 Let’s just say it was nearly impossible to get both children to look straight out of the cut out holes. Pure magic! Finally. Of course now the kids look very bored. Hmph. 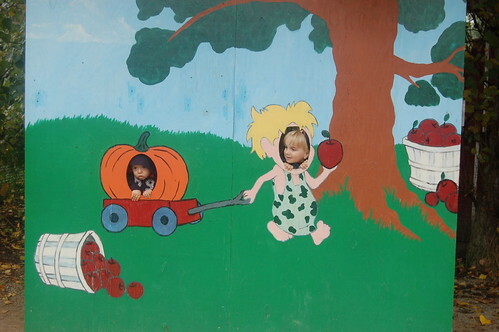 Never a dull day with toddlers! I’ve given up getting a good picture with more than one kid. If they look pretty good and somehow show their personalities, I’m good with it. I’m still shocked we got a picture of our whole family actually looking at the camera. Adrian looks mad and Fritz is barely smiling, but I think it is nothing short of a miracle that no one is picking their nose or closing their eyes lol Once there is more than one kid involved you suddenly find yourself taking 492 pictures to get one good one every time.